Our Forever First Lady Michelle Obama has always been a queen. Even before she made her mark at the White House for 8 years with her husband Barack Obama. 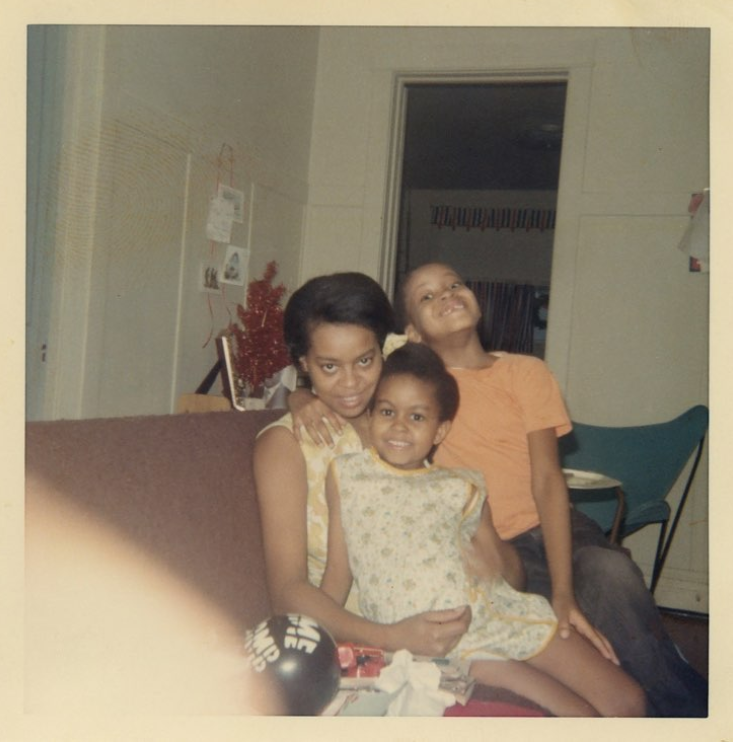 As she works on her new memoir Becoming, Mrs. Obama has come across some throwback pictures of her from her childhood, college days and when she tied the knot to Barack. And we can hardly stand it. Y'all KNOW we stan hard for Mrs. O around these parts. She's literally the epitome of YBF. Over the next few days, she will share some of the photos and memories that will be featured in the book. 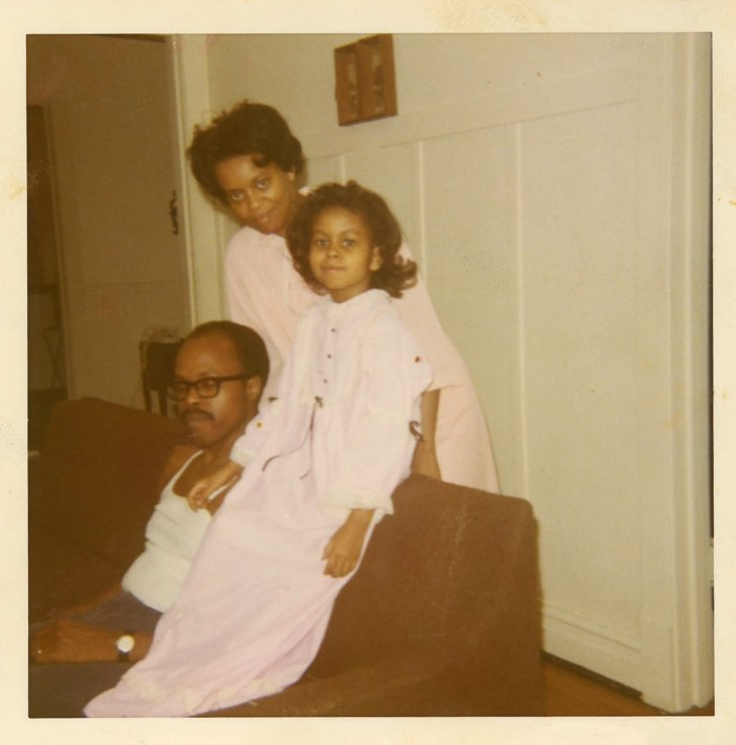 In the photos she has shared so far, the 54-year-old gives us a quick glimpse into the life of the little girl from the Southside of Chicago who made it to the White House. In the picture above, Michelle is a student at Princeton University, and what you don't see is the culture shock she experienced. 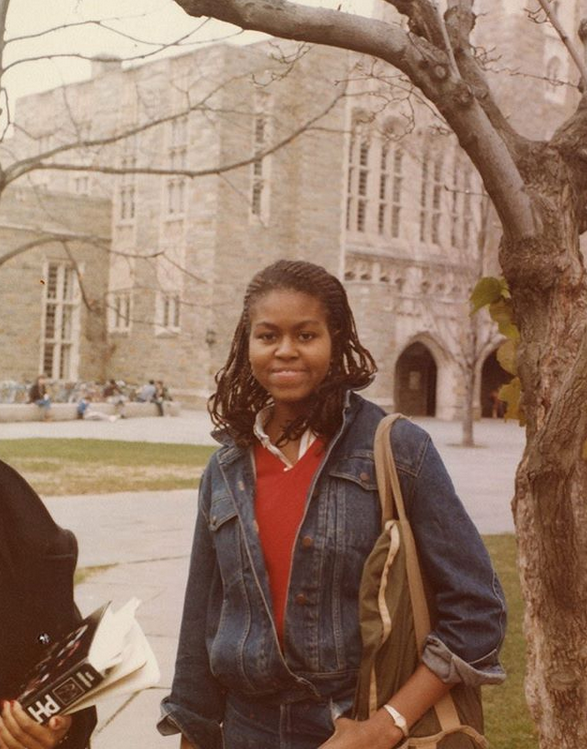 "This is me at Princeton in the early 1980s," she shared. "I know that being a first-generation college student can be scary, because it was scary for me. I was black and from a working-class neighborhood in Chicago, while Princeton’s student body was generally white and well-to-do. I’d never stood out in a crowd or a classroom because of the color of my skin before. But I found close friends and a mentor who gave me the confidence to be myself. Going to college is hard work, but every day I meet people whose lives have been profoundly changed by education, just as mine was. My advice to students is to be brave and stay with it. Congratulations to the Class of 2018! #ReachHigher"
In a picture with her mother and father, she shared the morals and values her parents (Fraser & Marian Robinson) instilled in her at a young age. In another candid, our Forever First Lady is all smiles as her husband Barack slid that garter off her leg during their wedding reception. Ayyye! 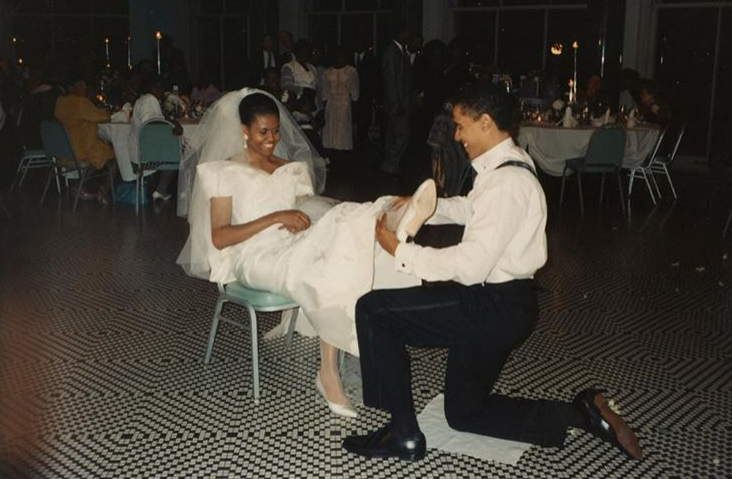 "You can’t tell it from this photo, but Barack woke up on our wedding day in October, 1992 with a nasty head cold," she captioned. "Somehow, by the time I met him at the altar, it had miraculously disappeared and we ended up dancing almost all night. Twenty five years later, we’re still having fun, while also doing the hard work to build our partnership and support each other as individuals. I can’t imagine going on this wild ride with anybody else." Aww! The perfect example of #BlackLove. “In this book, I talk about my roots and how a little girl from the South Side of Chicago found her voice and developed the strength to use it to empower others," she said in a statement when the book was announced. "I hope my journey inspires readers to find the courage to become whoever they aspire to be." We'll be copping at LEAST two of these when it hits shelves November 13, 2018. One for ourselves and the other for a friend, mom, cousin, somebody. Outside of working on her new memoir, Michelle is also working with her hubby to produce content for Netflix. Get those deets HERE.